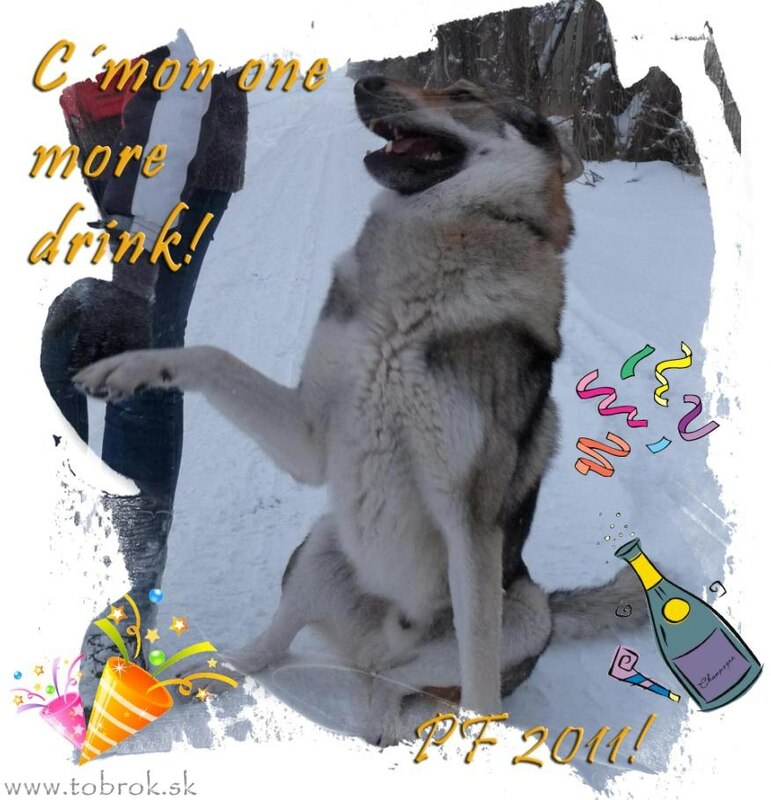 31.12.2010 - Happy New Year to everyone!!! Thank you for visiting my site and many positive mails! Cheers! 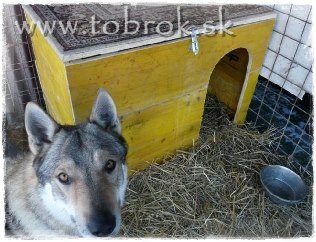 04.12.2010 - As a present did Gunner recieved a new shelter, was realy happy about it. From my friend did recieved a pillow for sleeping. 28.11.2010 - Today is Nero (Gunner Malý Bysterec) 4 years old! Happy Bday to Grace, Glenovi a Gigxovi! 24.11.2010 - New huge update in gallery - new photos, videos. 21.11.2010 - We visited international dogshow in Nitra. 28.09.2010 - Many new updates, new textxt are on the pages now, enjoy! 17.09.2010 - Thank you all for all the visites, we beat the club bages! 01.09.2010 - I have changed the banner, add some new features. 30.08.2010 - We are back from Czech kennel Tawy, Gunner is totaly tired. And so we do. I thank to Vojta and Lenka for theire huge help in things of training. 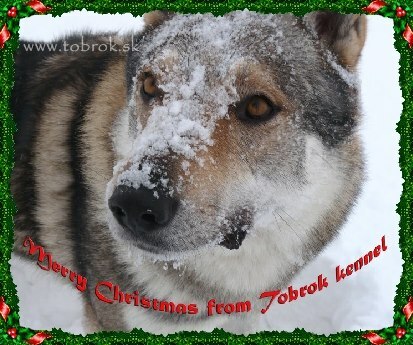 WE went to see a Czech show, in Mladá Boleslav, also went to look on the white wolves in Brno Zoo, have many memories. 26.08.2010 - So the sad news is - Dayen is not pregnant. So we still search for a new female pupp. 23.08.2010 - During the weekiend we were at Bratislava Duodanube show, to have a look and shop a bit. 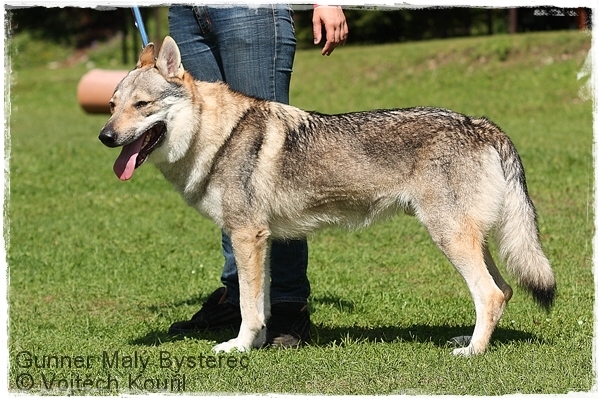 We go this weekend to Czech, to visit our new friends from Tawy kennel. 15.08.2010 - We are back from summer camp in Havranovo. It was a great spent week and we have met many super people. I must say, that i realised, the counter is totaly dead and the last number i saw was 6200, which will be our starting number at the new one. 31.07.2010 - Since few days, the counter is not working. But i doupt, it will work again, so we search for a new one. 14.07.2010 - Dayenka went for mating with Chinook. Yay! 29.06.2010 - Dayen startes her heat. 04.04.2010 - Have a nice holidays! 27.03.2010 - Today we had a long, 5 hour walk with Ainu Tasha alias Melian. 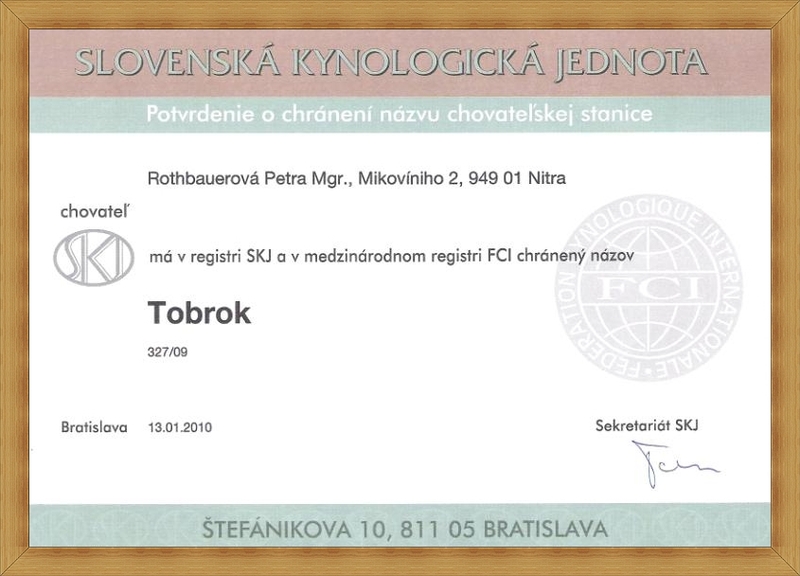 06.01.-18.01.2010 - From today on, we are official ChS Tobrok. There is a new part about our kennel. 03.01.2010 - We go to the new year with a new look of our pages.